The Fula people, often described as the Fulani, are regarded as the world’s largest nomadic group, about 20 million people dispersed across Western Africa. 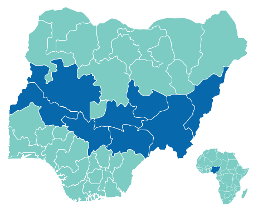 They reside mostly in Nigeria, Mali, Guinea, Cameroon, Senegal, and Niger. They also can be found in Central African Republic and Egypt. The centuries-old Fulani heritage is pastoral, organized primarily around nomadic herding of cattle, sheep and goats, though segments of Fulani farm crops or live in urban areas. Especially in the shadow of Boko Haram’s seven-year campaign to impose Islamic law across Nigeria, Fulani conflicts with farming villages have become more sinister than simple land disputes that boil over into violence. Instead, armed Fulani have planned and executed operations that have killed and chased away thousands of Christians. “There is a change of tactics by insurgents who now parade as herdsmen to make it difficult for the public to identify them,” Pulse quoted Bwacha as saying.